My relationship with link building started a little over a year ago. What began as just a few emails, dipping my toes in the water of offsite SEO marketing quickly began a torrid love affair with one of the most important tactics of marketing in 2018. I dreamt about link building. I had pictures of link building saved on my phone. Hell, I’d spend hours upon hours with link building. Okay, okay, I didn’t mean to get too spicy, but seriously, link building quickly became a passion of mine. It’s often seen as one of the most difficult aspects of a marketing initiative, but it was the problem-solving and communications aspects that drew me to this tactic. Well into my second year as a link builder, and I feel confident enough that I can pass along some useful information. Below we’ll take a look at some of the best link building trends for 2018. With such a saturated industry, it’s no surprise that the link building trends for 2018 are tactics that will push you above and beyond your competitors. The first tactic you should take advantage of is using research and data to create interesting and authoritative content. In an industry where “content is king,” there is no content more valuable than current, and previously unpublished industry insights. Holding creative control over this original research means earning backlinks whenever anyone writes a new blog article or social media post that references your findings. Not only can the original data generate backlinks, but you can also recycle it into other forms of content. Perhaps you want to turn that data into a shareable infographic. Another way to repurpose that content is to create a video of the researchers themselves talking about the data they’ve found. Original research is a great way to provide important information while scoring a variety of different backlinks from recycled data. We’ve already covered the rise of voice search in previous blogs, but many marketers will fail to consider mobile when link building. Your mobile-friendly content is going to be some of the most valuable link bait that you have. 20% of all web searches are voice searches. This is important on two fronts. If you’re optimized for voice search and landing some valuable rich snippets, this will increase the chances of snagging natural backlinks without lifting a finger. On the other side, targeting backlinks from sites that rank frequently for mobile search is a great way to snag backlinks that are both valuable and relevant. 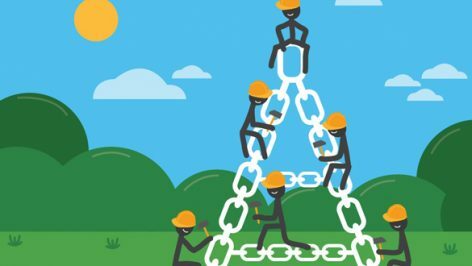 When it comes to some of the best link building trends for link building, reclaiming backlinks is often an undervalued but highly important tactic. As Google puts more and more value into links, losing them can be detrimental to your website. A good backlink reclamation campaign will ensure that there are few backlinks getting lost in the shuffle. A backlink analysis tool like SEMrush or Majestic will allow you to export all lost backlinks. The next stage, outreach, is as easy as emailing the link origin’s site owner with the updated URL. Pointing out dead links is going to be in their best interest as well because it improves user experience and SEO. We’ve touched on videos a little, but one the biggest link building trends for 2018 is starting link building with videos. Similar to infographics, videos are a great piece of visual content that can garner a lot of traffic, views, and backlinks. Many experts have seen a lot of success in self-hosting videos on their website and/or sharing them on their social media pages. Users consume hours of video content via social media, so it’s a no-brainer that you should be taking advantage of those eyes. First, you’ll want to promote your videos via social media just like you would on any other. Next, you’ll want to use YouTube analytics to find out who is sharing your video or embedding it on their website. This is a great way to request a backlink from those who have been sharing your content. These are just a few of the many link building trends for 2018. 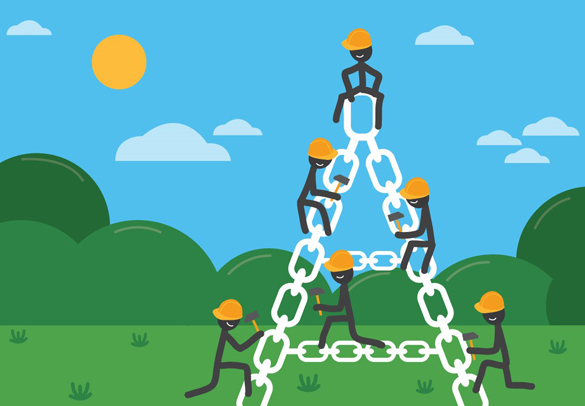 If you haven’t thought about a link building campaign, now’s the time to start. It will help boost those search rankings as well as increase traffic to your site. If you have any other trends or tactics you’d like to share, feel free to comment below! As your brand grows, so do your ambitions. While it’s great to think about your company becoming the next global brand, it’s also important to remember to think locally. We’ve covered blogs that deal with SEO on a bigger scale. These onsite and offsite tactics will ensure that you’re getting in front of as many eyes as possible. However, there’s another aspect of SEO that produces results much quicker and can leverage a ton of traffic and business for your site. 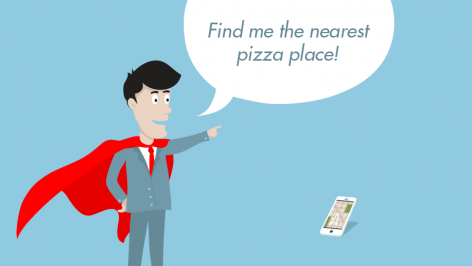 Research shows that 18% of local smartphone searches resulted in a purchase within a day. 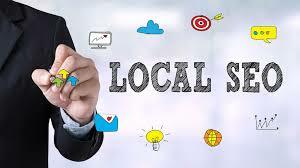 Local SEO is a great way to build up brands of all shapes and sizes. 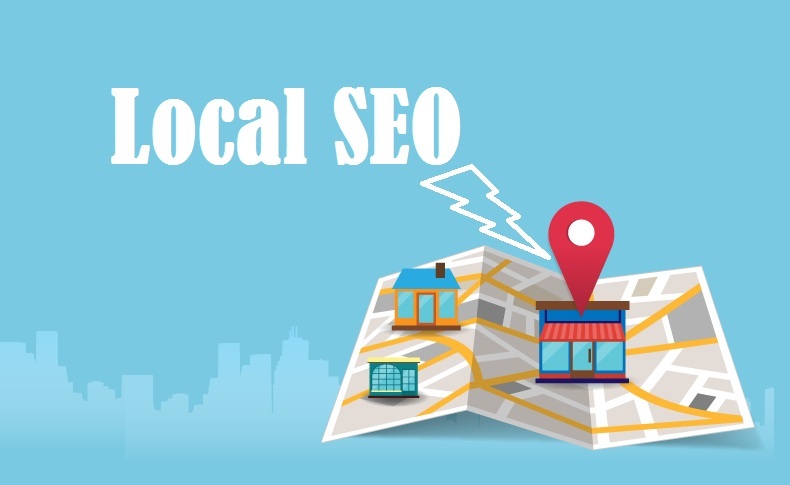 Below we’ll take a look at some of the best tips for local SEO. This sounds like one of the easiest tips for local SEO, but it’s often one that’s forgotten by many companies. Leveraging some of your onsite SEO for local SEO will ensure that you’re attracting potential customers from a local standpoint. For example, if your company is a lawn service, while it’s nice to rank for the term “lawn service,” this doesn’t necessarily mean you’ll get in front of the right audience. If you’re based out of Pennsylvania and you’re showing up in the SERP for someone in Phoenix, Arizona, that probably won’t be a converting customer. But, if you’re ranking for “lawn services in Lancaster, PA” then you’ll have a much better chance of converting that person. We’ve spoken about the importance of link building in the past, but one of the best tips for local SEO is to engage in a local link building campaign. Links built locally will help to establish credibility in the eyes of Google. 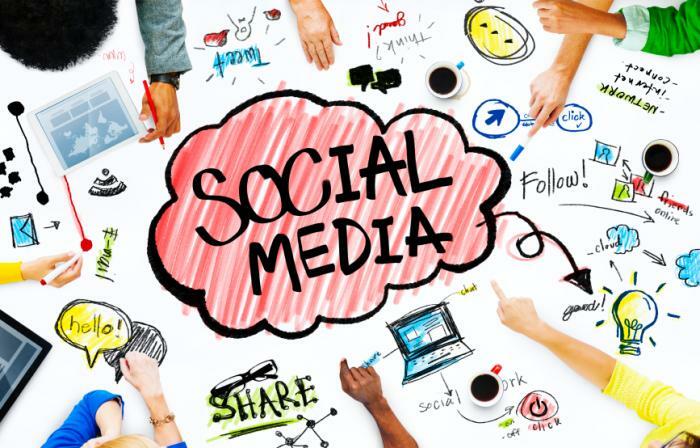 Use social media to increase the exposure of your website. Encourage your followers to share out your info. Create great blog content and use that to pitch to other local sites. If it makes sense, create a local directory of businesses and have them link back to your website. Use similar techniques that you would use if you were implementing an entire link building campaign. 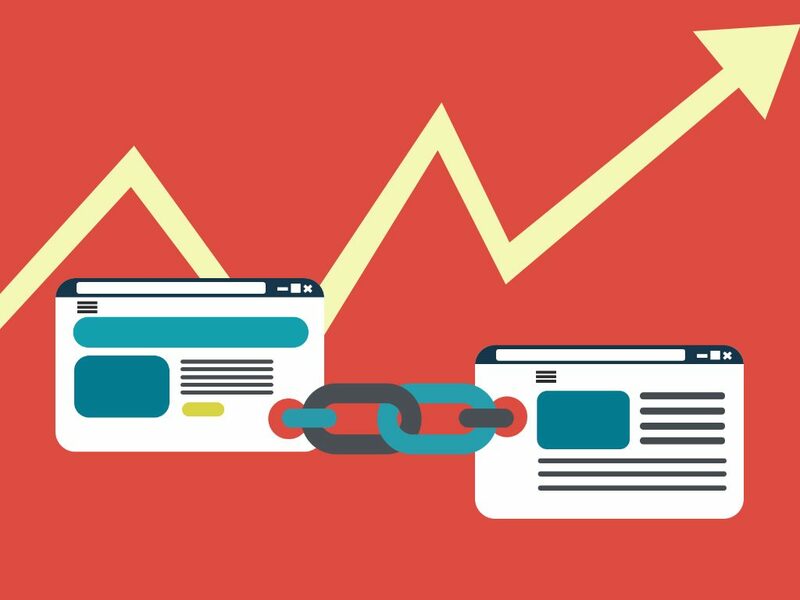 Internal linking is an onsite SEO tactic that not only helps with user experience, but it can also give your rankings a boost. Most local businesses have poor website architecture, often with important pages only being linked to from the main navigation or footer. Add internal links that are relevant from within your pages’ content, including blog posts, informational pa, es and key service pages. These “money” pages are the most important URLs on your site, so it’s important that you’re directing potential customers to those pages. One of the biggest mistakes that a local company can do is to not have a place where customers can offer feedback and reviews. User reviews help to build your business’ visibility in local search results, and so does your engagement in responding to them — whether they are positive or negative. Your brand reputation is important, so one of the best tips for local SEO is to ensure that your reputation is being displayed through social media. Another one of the best tips for local SEO is to use a tool that will track your local keyword rankings. We’ve covered some of the best SEO tools to use for your campaign, so it’s worth taking a look at the rank tracking features that Moz and SEMrush have to offer. You’ll want to track ranking, search volume, device, result type, and whether your preferred URL is the top-ranked result for searches in each geographic location that’s relevant to your business. We hope some of these local SEO tips will help take your company to new heights! If you have some other tips you’d like to provide, or have a question for us, feel free to comment below! Now that we’re a few months into 2018, it is about time to look back at the projected trends for the year. While some of these predictions may have fallen out of the popular conversation, one certainly has not. Artificial intelligence and marketing in 2018 continue to be something on practically every digital marketer’s mind. But why? Now that we’re three and a half months into the year, what have we learned about artificial intelligence and marketing? Well, in short, quite a bit. Even though we started the conversation about AI years ago, a lot has changed. As digital marketers keeping up with industry trends, there are a few things to keep in mind about AI. While the list of ways that AI is affecting marketing could go on forever, we’ve highlighted a few of the key things to keep in mind. Is there anything important that we left off the list? We’d love to hear what you think in the comments below! 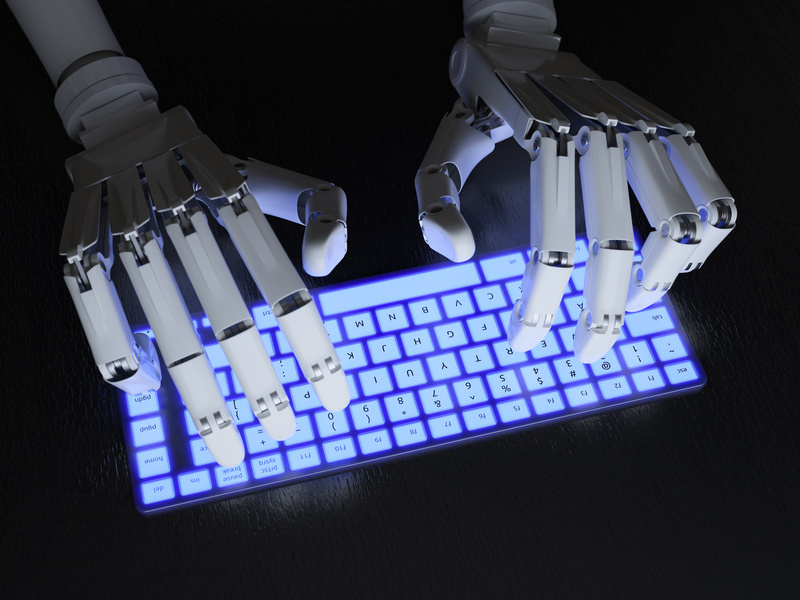 Perhaps the two best-known acronyms in digital marketing these days, SEO and AI are now extremely important to one another. For years, search engines have been getting smarter. Google has been developing sophisticated algorithms to determine the user’s search intent for years. However, AI is the next great development in improving the user experience. Since AI is all about machine learning, it can be used to learn about users’ search intent and generate better results. So, the SEO practices that we know today, which are already shaped by AI, are only likely to change further throughout 2018 and beyond. 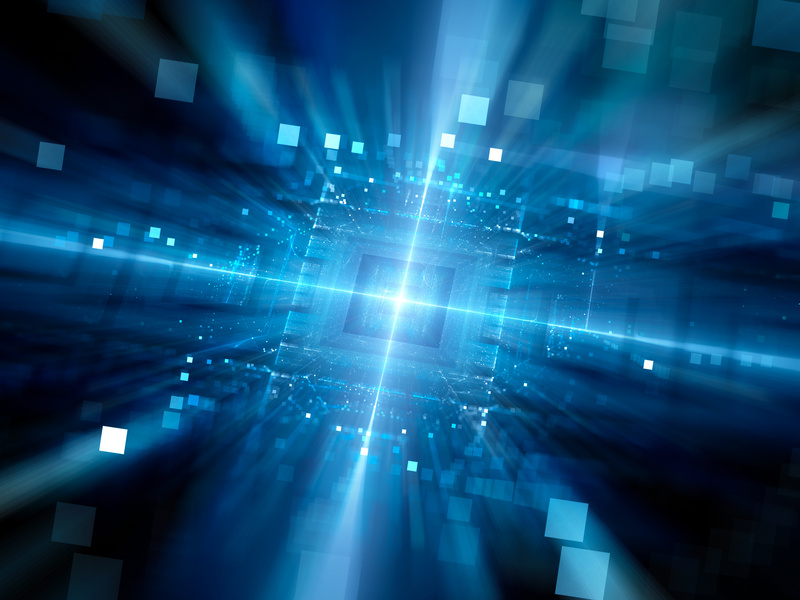 Machine learning requires immense amounts of data to work as effectively as possible. Since computers are able to analyze this data exponentially faster than humans, there is practically no limit to how much data these machines can interpret. However, this means that the outcome of machine learning is highly dependent upon the quality of data available. Therefore, the more precisely that data is measured and made available, artificial intelligence will be more productive. Whether you are a digital marketer or not, anyone using the internet has shared the experience of seeing smarter recommendations. Think about it, you’re scrolling through your Facebook feed and you see an ad for a car just days after you read that article about the newest make or model. Or that playlist you’re streaming comes to an end but Spotify continues to play music that perfectly fits your tastes. This is not to mention Amazon’s recommended products. Ultimately, people are being driven to make transactions online in entirely new ways. If the products people want to buy appear to them naturally, that will surely affect the way that people interact with search engines. Over a year ago we wrote a similar blog about artificial intelligence and marketing. Obviously, a lot has changed since then. However, one thing that hasn’t changed is the role of dynamic pricing as it relates to the consumer experience. With more users than ever online and people becoming increasingly comfortable making transactions online, AI has more high-quality data (see above) than ever at its disposal. This means that prices can adjust even more rapidly to account for purchasing patterns worldwide. If consumers can’t count on today’s price being the same tomorrow, how will that influence their purchasing patterns? As we mentioned above, there are really countless potential intersections of artificial intelligence and marketing in 2018 and beyond. However, the important thing to keep in mind is that AI continues to shape the digital marketing landscape. At this point, we really have no reason to expect anything different looking ahead. This impact online will extend far beyond digital marketers too. As user experience becomes paramount to AI, internet companies will be looking for more UX developers than ever before. In fact, we’ve got a few job openings right here at Track5Media, LLC. Regardless, there is a lot to look forward to with artificial intelligence and marketing. Any marketer knows how important social media is. With smartphones seemingly becoming an extension of our lives, we’re quickly melting our real presence with our social media presence. Whether you’re recruiting, marketing, or consuming products, social media will continue to play a vital role in your marketing campaign. 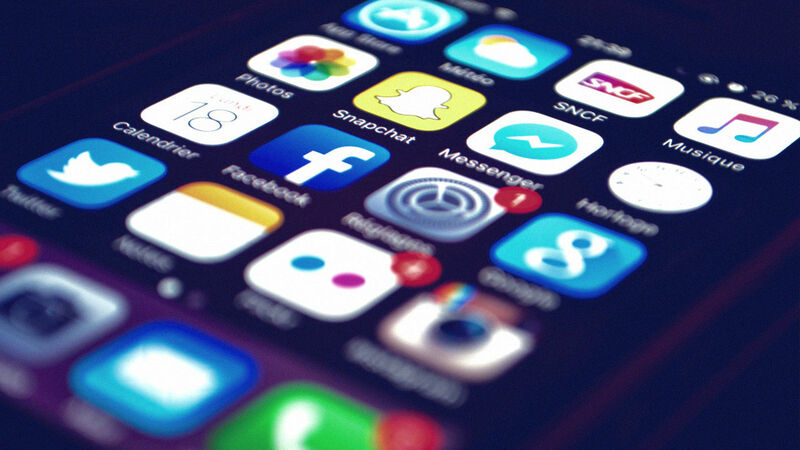 With 2018 well underway, it’s important to take a look at the latest trends in the social media world. Below you’ll find some of the top social media trends for 2018. When it comes to social media trends for 2018, this is one that might not come to mind right away. When we think of live streaming, we usually think of people playing a popular video game, or a celebrity detailing a daily makeup routine. However, many marketers are figuring out that they can use live streaming as a way to increase brand awareness. Live streaming is a medium or implementation of social technology that’s uniquely positioned to take advantage of hardware improvements for the next several years. The resolution of an image the size of a phone screen can only get so good before you have to zoom in to see a difference. We could also begin to see “live commercials” which will take advantage of the immediate feedback that can be provided by viewers. Augmented and virtual reality initially seemed like a gimmick. It was something that looked cool in the movies, but would never live up to expectations when put to practical use. However, when it comes to social media trends for 2018, AR and VR will play a major role in the marketing industry. After a handful of highly successful AR apps, rising sales of VR headsets, and greater technological sophistication (including faster internet speeds and better visual rendering), 2018 could finally be the year that AR takes off. More users will be using VR and AR, which mean that social media will quickly become the link to connect these people. How soon will it be until we can virtually sit across from our loved ones who are across the globe? You’ll want to keep an eye on this technology and think about how you can implement it within your marketing initiative. Another one of the social media trends for 2018 to be aware of is the importance of generation Z. A recent study conducted by Goldman Sachs concluded that Generation Z was more valuable to most organizations than millennials. Today, the oldest Gen Zers are 22 years old. They are just beginning to enter the labor force and will have increased buying power for some time. While it’s easy to discount them as just a generation of youngsters, they’re easily the savviest when it comes to social media, which is why it’ll be so important to market accordingly. 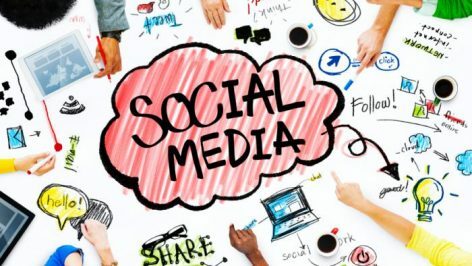 This young generation could be the key to your brand’s success, so make sure to do your market research to figure out whom exactly you should be marketing to on social media. Another major shift in social media is the growing necessity of social accountability when it comes to your brand. Previously, there were only a few places that a customer could voice his or her opinion. However, with the rise of social media, millions with just a few clicks can see a customer experience. According to the Sprout Social Index, 81% of consumers agreed social media increased accountability for businesses. But what causes consumers to voice their opinions online? The same index found 3 in 5 consumers said dishonesty from brands causes their social call out. However, you can use this to your advantage. Transparency and honesty will increase your reputation as a brand and ensure that they’ll continue working with you. We hope we’ve provided some stellar tips for enhancing your brand. These social media trends for 2018 should ensure that your marketing initiative is successful. If you’d like to provide some other trends, feel free to comment below! Just like you focus blogs and articles on ranking for a keyword or several, the same applies to podcasts. Each show should center around your distinct keyword phrase, specifically one that is long-tail and has a reasonable amount of search volume. Tools like Moz’s Keyword Explorer are great for this! In addition to your main keyword, you’ll also want to find related phrases or questions to include in the copy associated with your podcast. Overall, these are the basic components that Google looks for when ranking content. However, the transcript of the show itself is something we’ve taken a particular interest in. For our brand AllTruckJobs.com, we’ve produced a show called Big Rig Banter which discusses the commercial driving industry. Throughout the show, we discuss a central topic with professional guests from all over the country. After editing, a team member transcribes the audio into a document which is uploaded with each new episode. Each time our keyword phrase is mentioned, along with the natural keyword variations that occur during discussions, our transcript becomes ripe with SEO for podcasting! Essentially, doing this provides several blogs worth of keyword rich content that helps our show spread throughout the web. One of the most important aspects of SEO for podcasting is finding and interviewing influential guests. To start, having real professionals talk about a subject is a sure-fire way to build credibility for your show. The phrases they use and the websites with which they’re associated provide some significant SEO boosts. When it comes time to publish your latest episode, having your guests share the content they’ve contributed to is one way to ensure you gain some social media traction. One step further includes actually allowing guests to embed an episode on their websites. This can be done through a number of hosting services, including the one we use called Blubrry. In this way, visitors to these sites can trace the show back to your own pages and even subscribe on the spot! 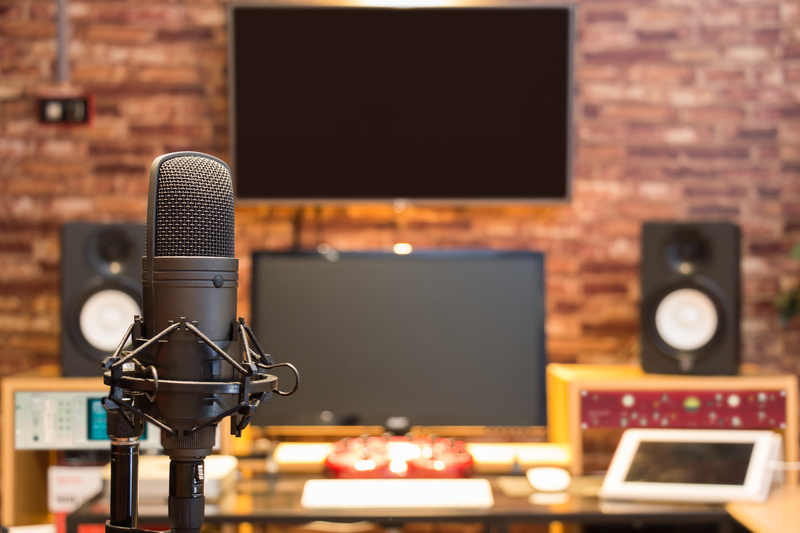 Our final technique for boosting your SEO for podcasting includes making accompanying video content. It’s simple enough to create quick graphics for each episode and pair them with the audio. This provides easily uploads to YouTube which Google loves to rank relatively high. Just make sure you’ve included all the right tags, description, title, and categorized your video correctly! Honestly, when it comes to clickbait YouTube is the place to try it out. Uploading interesting or provocative cover images to your video and giving it an eye-catching title often helps attract new listeners. Just be sure to strike the right balance with your existing branding and marketing efforts! Overall, implementing these basic SEO for podcasting techniques can help podcasts of all levels. It definitely takes a little trial and error until you find out what your audience wants to hear and how you can deliver that content! 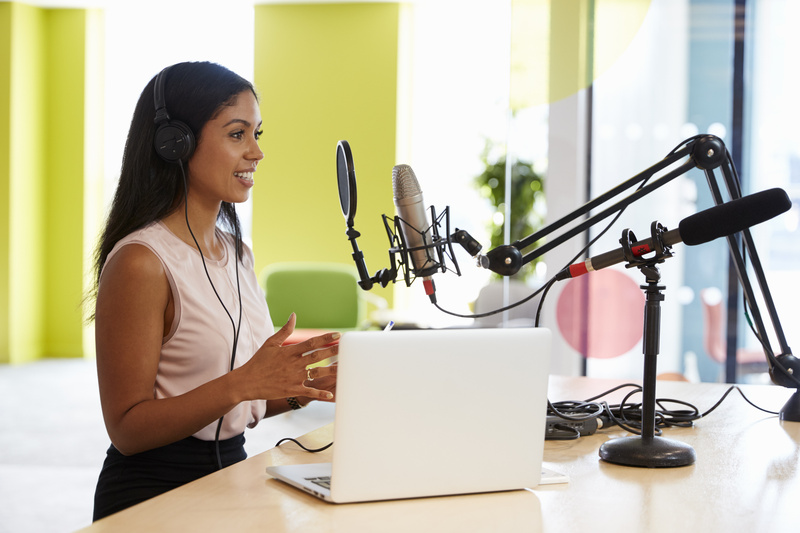 What experience do you have with SEO for podcasting? Let us know in the comments below! Here at Track5Media, the marketing department is expanding our audio and video marketing. This means getting expert interviews from people in the various industries we work with, recording them, fancying them up, and putting them online. As someone who worked as a print journalist for several years my first thought was, interviews, how easy. Then, my coworkers took me into our tiny podcast room, put these huge headphones over my ears, pushed my chair so that my face was up against a microphone and showed me how to hook up my cell phone to the computer for recording. Needless to say, I was a little overwhelmed. I felt awkward and out of my comfort zone. Interview someone without taking notes? And I have to hear my voice too. Count me out. Recording is very different from a traditional interview. Although it’s been an adjustment, here are five tips for recording an interview that I’ve learned so far. If you’re like me – intimidated by the recording process, have no fear. If I can do it, anyone can. 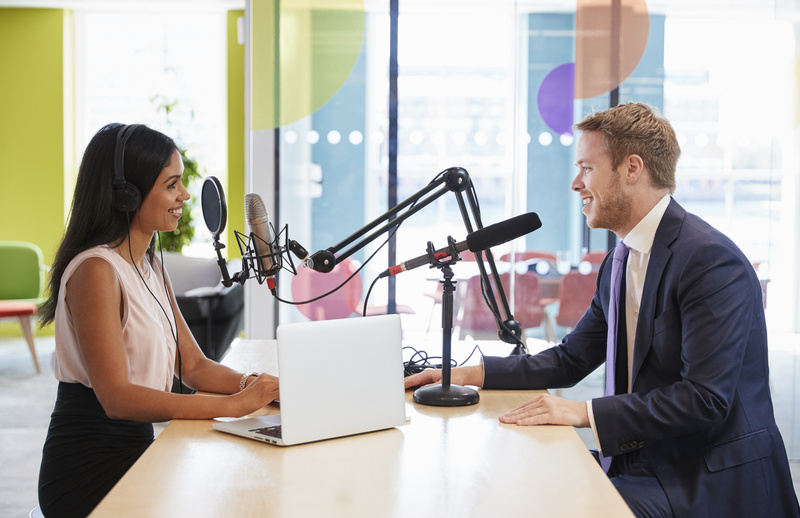 Here are five tips for recording an interview. Before doing a recorded interview, you want to think about who the interviewee is. What are the best questions to ask them to get the most interesting conversation flowing? Once you figure that out, send them the questions ahead of time so that they can look them over. Also, be sure to ask them how much time they have free. The last thing you want is for them to start to cut the interview short because they didn’t expect it to take so long. Once you have everything organized with your interviewee, the last piece of your planning process is figuring out the location. 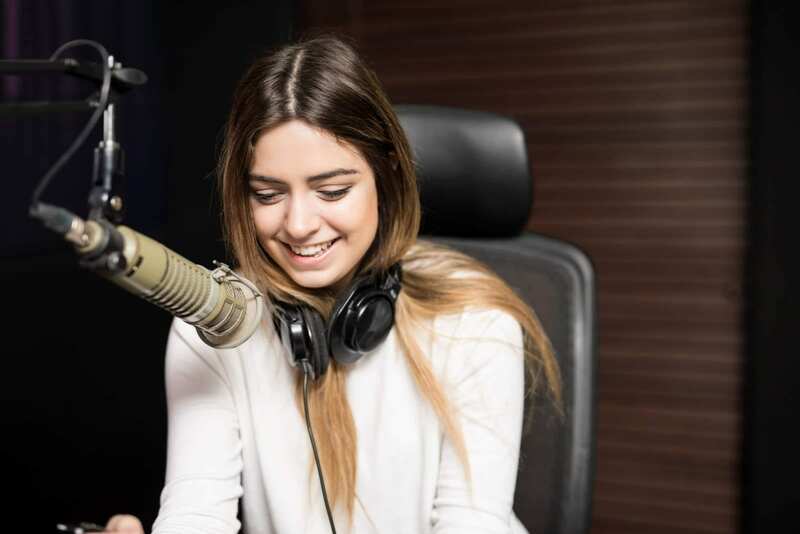 You want to make sure that you have a place to record the interview that is quiet with minimal background noise, and that you have the equipment to record the interview. In a perfect world, you’ll have 10 or so questions that you plan to ask. Everything will go according to plan. Your interviewee will answer all of the questions exactly like you anticipate and conversation will flow into the next topic. In reality, you can’t predict how someone is going to answer. Your interviewee could say something that steers the entire interview in a different direction. DON’T BE AFRAID TO GO THAT WAY. Sometimes someone will say something you didn’t expect, and it will take the interview on an even more interesting turn than you predicted in your planning. 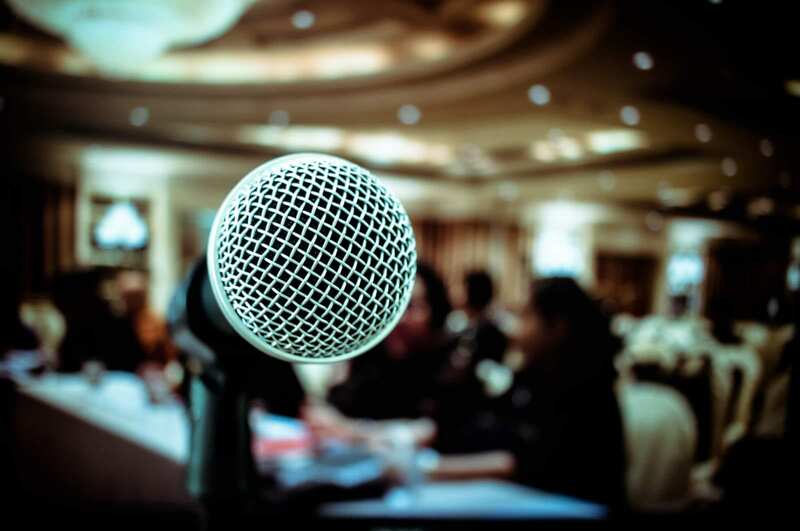 Being able to recognize this in the moment and change or adjust your questions accordingly is a skill that takes time but is one of the most critical tips for recording an interview. 3. Minimize background noise… that includes you! For me, the hardest thing to learn about recording an interview is that you can’t respond the way you normally would. Since you’re talking on the phone, your natural inclination is to verbally indicate that you’re listening. Phrases like, “right,” “yes,” or “of course,” slip out. However, when you’re recording an interview, it’s important not to talk over the person who is talking. It’s safe to assume that they know you’re listening and that you understand what they’re saying, so reserve your impulsive polite signals. This also includes laughing, sighing and any other background noise. To ensure that the interview is crisp and clear, try to eliminate any sound other than the person who’s speaking. Luckily for me, I have some awesome and techy savvy coworkers who help set up the equipment for a recorded interview. Making sure that the equipment works and is recording both interviews is pretty important for getting sharp sound and killer content in a recorded interview. You’re making sure your equipment is still functioning. At the same time, you’re keeping track of which questions you already asked and which to ask next. You’re also trying to remember not to laugh or comment while the interviewee is speaking. And of course, in the midst of all this, you’re listening to the interviewee’s answers, of course! When it comes time for you to speak again, don’t be redundant. I really struggle with this. I notice I’ll say things like, “that’s awesome,” or “right, that makes sense.” These redundant phrases can sound extremely annoying and insincere when you play back the interview, so make sure you respond with a variety of phrases. You can also simply state the next question without commenting on the previous answer. Do you have any tips for recording an interview? Share with us in the comments below! Unless you’ve been under a rock in the marketing world you’ve probably heard that voice search is quickly going to become an important factor in the industry. It seems like children are born with smartphones already in their hands. The rise of voice-search technology is quickly becoming a huge part of our everyday lives, which is why great marketers are already riding that wave to ensure that they’re ranking for some of the top voice searches in their industry. According to Hitwise, nearly 60 percent of searches are now performed on a mobile device. 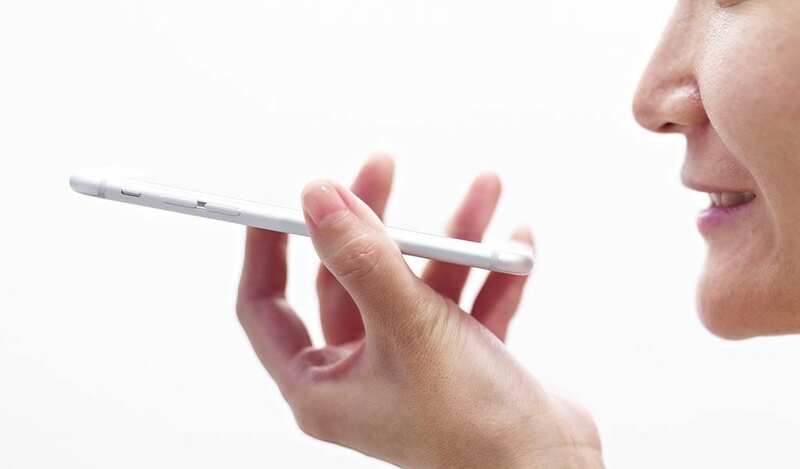 With more and more people using mobile devices to search, people often find it’s easier to use their voice to search instead of typing on tiny screens. As new devices like Google Home and Amazon’s Alexa begin to become a staple in any home, it’s important that you know how to optimize for voice search. A few years ago, Google made one of the biggest updates ever when it comes to how we use technology to search for information. Despite it being named the Hummingbird update, it was actually one of the biggest and most influential updates that Google has rolled out. The update was essentially designed to help Google find out the searcher intent of voice searches. User intent is one of the most important fundamentals of search, yet for machines, it can be remarkably difficult to infer what users actually want when conducting certain searches. That’s among the many reasons why the Hummingbird update was so important – it signaled a shift in Google’s ability to determine the intent behind relatively ambiguous searches and provide users with an even better experience. When Google’s Rankbrain learning system eventually came out, this allowed the update to progressively learn the intent of user searches. So what does this all mean for your company? Well, if you want to know how to optimize for voice search, you need to think with Hummingbird in mind. While Google will try its best to decipher user intent, it’s up to you to provide the proper results that it’s looking for. This means that you’ll want to use phrases and keywords in your content that will typically be used in a voice search. This will then allow Google to capture that content, and hopefully move your site up the rankings in no time. Speaking of keywords, you still want to use some of the tactics that work for traditional search marketing. If you want to know how to optimize your voice search, start with your keywords! How would you ask particular questions? Or what kind of spoken questions might bring others to your site? This might be a different kind of long tail than you’re used to. It’s more about real speech and less about keyword variations. Whether your searchers are using a command or a question, this is how to optimize for voice search. If you want to know how to optimize for voice search, start thinking about the questions that people ask about your company. One of the biggest mistakes that a company can make in voice search optimization is not having a FAQs page. Try to group common questions on the same page, and write as naturally as possible. At the beginning of each piece of content, you should also add in some quick answers to satisfy Google’s rich snippet requirements. A rich snippet is the crème de la crème of the search marketing world, and a FAQs page is a great way to ensure that your brand is showing up at the top of the search results. While we’ve provided some major tactics on how to optimize for voice search, don’t forget those tiny details. We’re talking about the small things that you can do on your page to ensure that your content is SEO-friendly. This includes things like including your keyword within the alt text of your images as well as ensuring that the keyword is in the Meta description. These might seem like small adjustments, but they certainly add up. If you have other tips on how to optimize for voice search, feel free to let us know below!